Track lighting is a good fit for hallways. the fixtures provide just enough light for these narrow spaces. In fact, these lights often work best when placed in more confined areas. A single fixture placed in a hallway can offer a subtle elegance to an otherwise overlooked area. Kitchens are the perfect setting for this type of lighting. 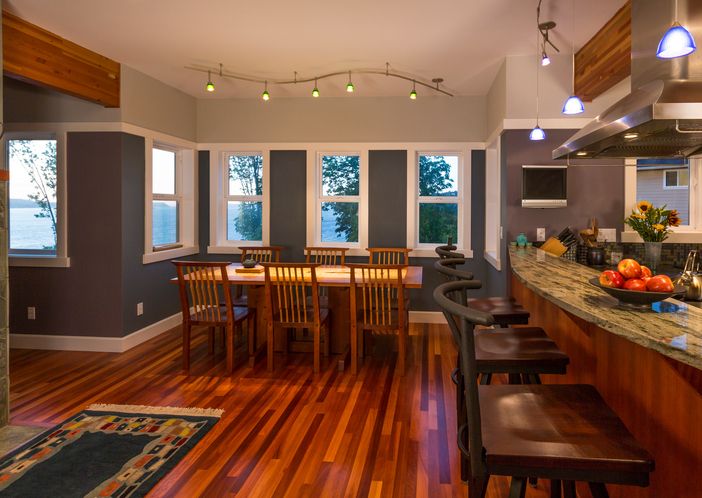 Lights can be pointed at various areas, such as countertops and islands. Your kitchen is a place where people gather, so give it the spotlight it deserves. TV stands, pieces of art, play areas, reading nooks – there are plenty of ways to incorporate track lighting in a family room. Track lights are also a great choice for bathrooms. Place track lighting over a vanity mirror and be amazed at how it illuminates the space. Are you thinking of adding this type of lighting to your home? Visit Carolina Electrical Supply Company. Take a look at our selection and find the best fixtures for your house today!